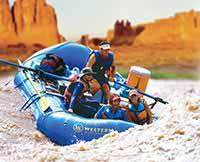 I cannot sing praises enough for our guides on our Colorado River trip. 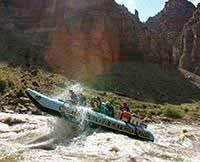 We just finished the Cataract Canyon rafting trip on the Colorado River. I cannot sing praises enough for our guides! Nick kept everything organized and running; Lane answered all my questions about plants in the canyon; my husband and grandson think Jessica is the best rowboat leader ever; I think Jason is the Best; and thank Heavens for Ryan's safety instructions! My only complaint is that I didn't know any of the songs the band played - nothing from the 50s and 60s - ah, well! ?